For many people, the arrival of winter also means the opportunity to travel. Travel can be great fun, but only if you can stay healthy while you are on your journey. Unfortunately, the winter season can make staying healthy especially challenging, since you are not in control of your environment at the same level you can be at home and it typically the most virulent time for germs. You may have sneezing, coughing, wheezing strangers sitting next to you on the plane or bus. Or your “non-smoking” hotel room may turn out to be nothing more than a heavily scented former smoking room. You might touch a place on the subway turnstile where someone with the flu has just passed through and inadvertently pick up their germs. There are just so many unknowns! Here at Clean Air Solutions, we want to make sure you have the safest, healthiest, and most wonderful winter season full of visiting loved ones, having adventures, and feeling your best throughout. Here are some of our favorite tips for staying healthy during your winter travels—we hope you find them useful! One of your body’s biggest health challenges during holiday travel revolves around the quality of the air you are breathing. In particular, the re-circulated, pressurized air inside plane and train cabins can be difficult on your respiratory system and your sinuses. The air is typically dry, which in turn dries out your sensitive respiratory tissues in short order. Also, planes can save on fuel costs by pulling in a lower quantity of fresh outside air while in the air themselves. This means you are breathing more carbon dioxide and less oxygen with every breath (no wonder so many people get headaches on long flights)! 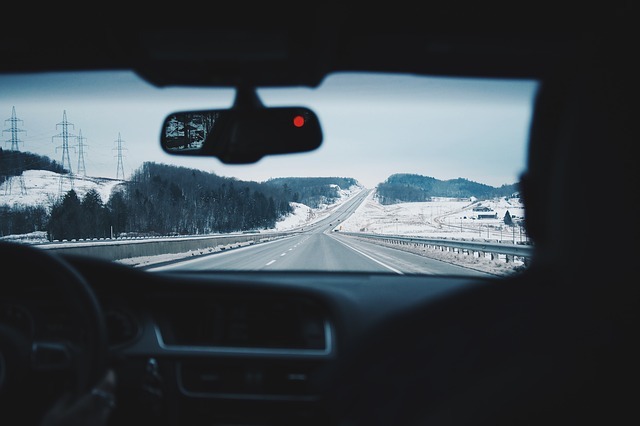 But the most challenging aspect of winter travel is that the air is not only dry and stale, but also heated, which amplifies its impact on your body’s ability to fight off ambient bacteria, viruses, and germs. So what can you do to stay healthy if you have to fly or take the train this winter? One idea is to take along a saline nasal spray to help irrigate your nasal passages while you are en route. If you suffer from asthma or allergies, or you already feel under the weather before your trip, wearing a surgical mask can help filter out irritants. You should also drink plenty of water while you are traveling. If you are able (and restrooms are near), drinking up to 8 ounces per hour of travel is ideal to keep your body’s immune system strong. Boost your immune system before you leave, during your vacation, and when you return. Wash your hands frequently, eat a diet high in greens and low in saturated fats. Ensure you get enough sleep. Drink alcohol in moderation. Take vitamins with you. Supplements such as Cold FX can also be used preventatively. Even if you make your best effort to avoid breathing in airborne toxins, you can still contract other people’s germs via touch. For instance, that tempting touch screen monitor sitting at face-level on most planes, trains and buses today (as well as some cars) has likely been touched by your seat’s previous occupants as well. Here, hand sanitizer, alcohol wipes, or simple avoidance can go a long way towards keeping nearby waiting germs from invading your personal space. One creative idea that can also help is to use your above-seat air vent to blow air away from your seat, thus keeping your neighbor’s microbes out of your airspace. In many parts of North America, having non-smoking lodging available is a requirement. However, not all hotels have done their due diligence in terms of thoroughly cleaning and ventilating a former smoking room. For people who are sensitive to secondhand smoke, staying in a room like this can be a recipe for getting sick. You have a few options you can try. The best, of course, is to check out your room before you unpack, and if you notice it has a stale-smoke smell, just ask to be transferred to another room that was not previously a room in which people smoked. If the hotel is booked, however, you may need to stay put. In this case, open up a window and let the fresh air in. In most cases, outdoor air today is cleaner than its indoor counterpart, so by doing this, you can increase the oxygen content and purify the air in your hotel room at least for the night. Another trick to staying healthy in a hotel room is to wipe down light switches, door knobs, and appliance handles with sanitizing wipes. If you are sensitive to feathers and feather dust, ask at check-in for a non-feather pillow and a synthetic comforter. To further reduce contact with potential allergens, bring your own travel-sized toiletries, including soap and haircare products. This will help you avoid getting an allergic reaction from using unknown toiletries. But perhaps your most potent weapon against travel illness is to do everything you can to de-stress while away from home. If this means packing a white-noise machine or toting along your own healthy snacks so you won’t be tempted to eat junk during layovers, so be it. Any extra effort you can make to de-stress during your travels will be worth it when you arrive at your destination feeling healthy and happy and ready to make some memories. Here at Clean Air Solutions Hamilton, we are proud to offer the latest home and office tools to keep air quality pure and healthy. Our goal is to help you, your family, and your employees feel better and stay healthier all year long. If you are concerned about the quality of your indoor air at home or at work, we are happy to answer your questions and even schedule a consultation to talk through your air quality control options. Call us at 905-544-2470 or contact us online.